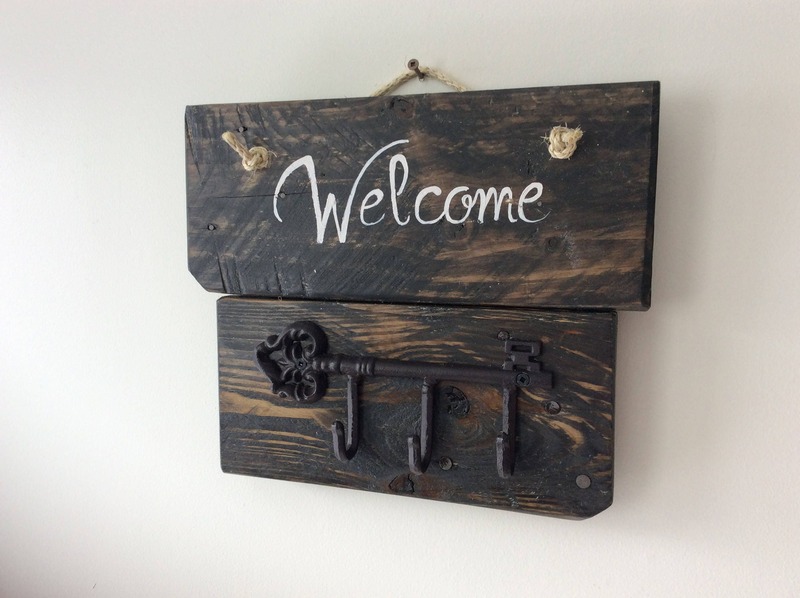 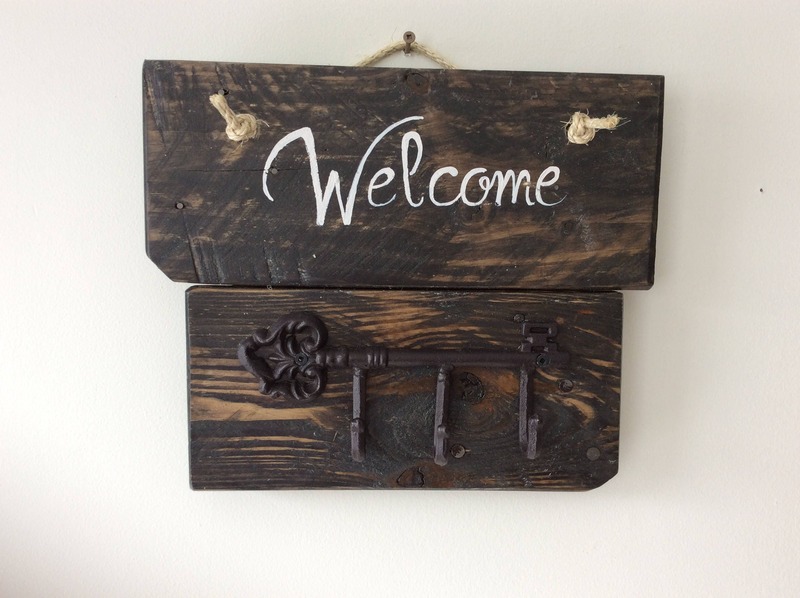 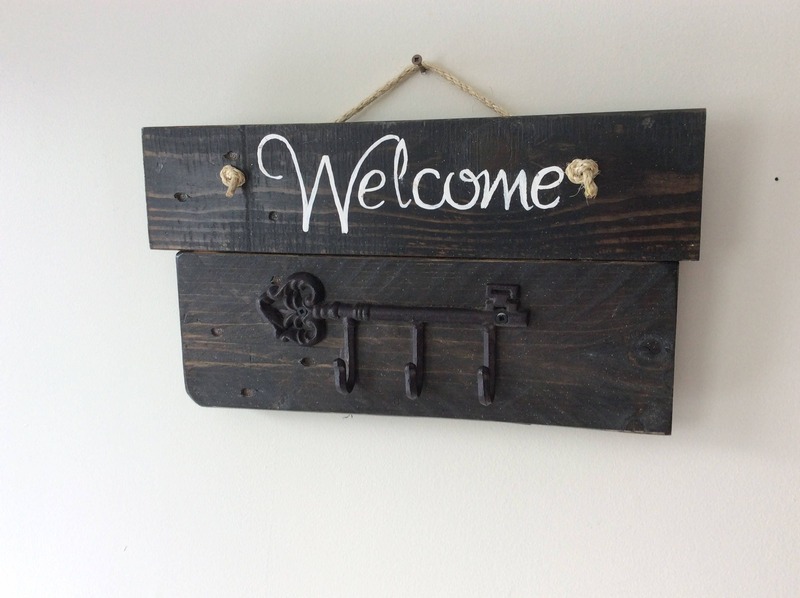 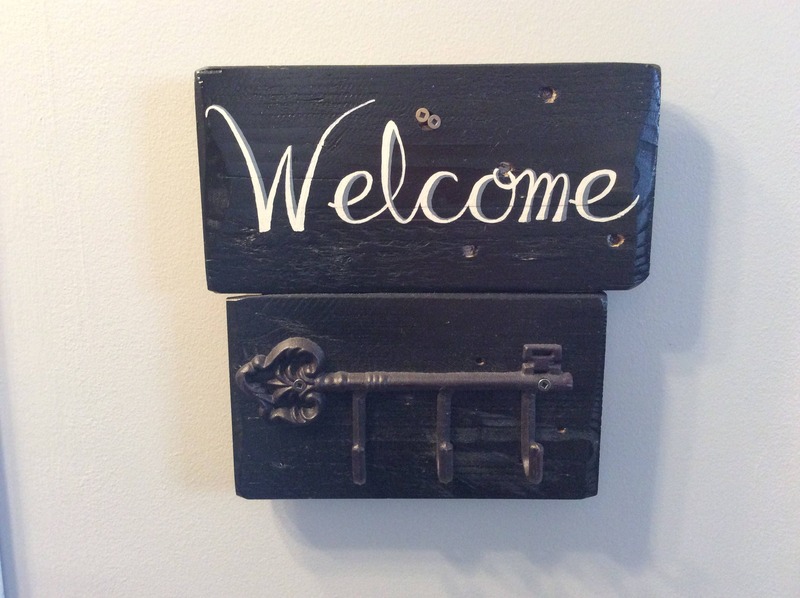 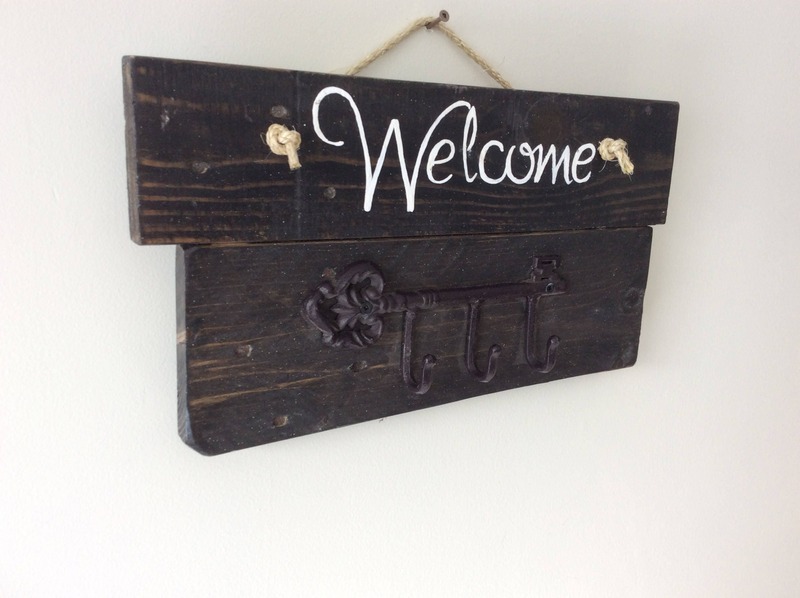 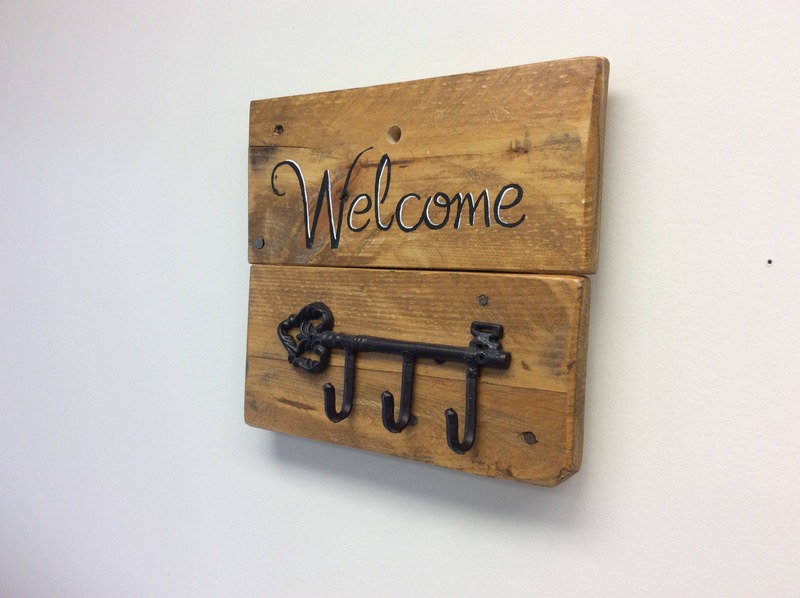 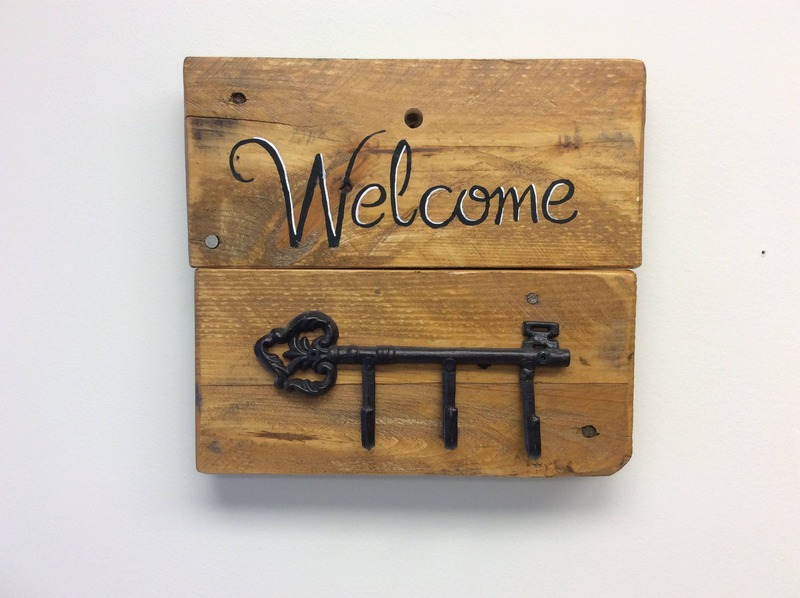 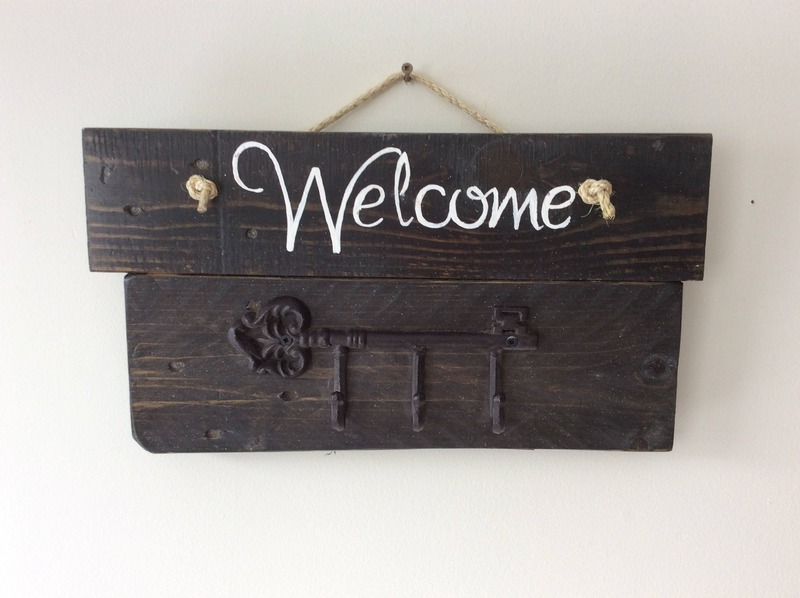 Welcome friends to your home with this convenient and attractive rustic, reclaimed wood key rack. 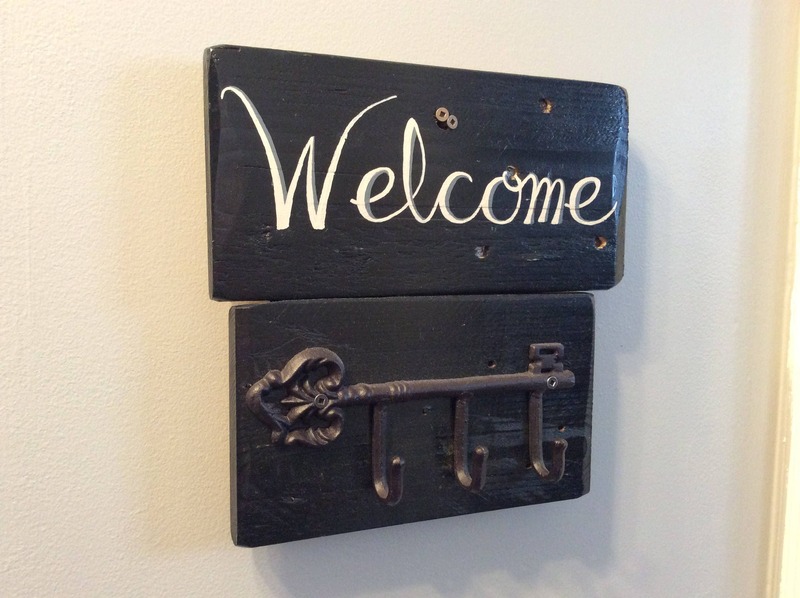 These can be made in a variety of colors and sizes to suit your living space. 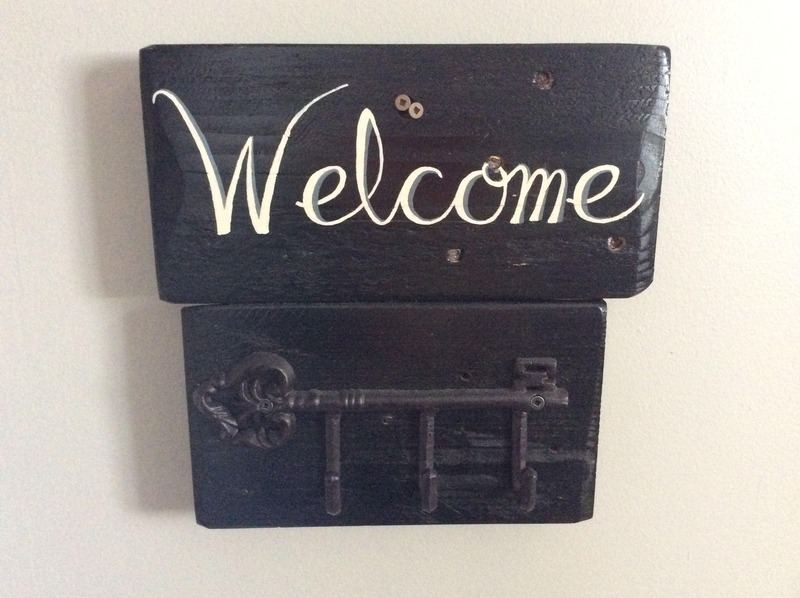 Prices start at $40.